At AirTight Energy all we do is energy audits — so you can be confident that the recommendations we make are unbiased, honest opinions that will increase the comfort of your home and reduce your energy bills. We won’t recommend replacing your windows, your doors or your furnace, if we don’t think it will make a difference! 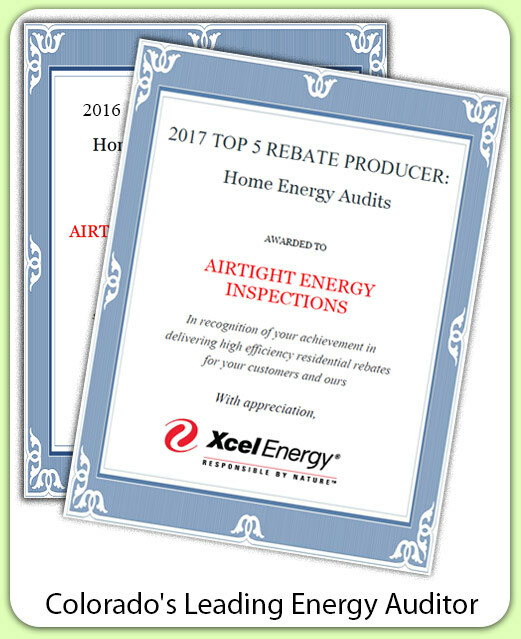 AirTight Energy has performed audits on hundreds of homes throughout Denver and as “energy detectives” we pride ourselves on uncovering effective and affordable ways for our clients to save on their energy bills. Based on the recommendations for your home, we will refer the best retrofit companies in town to get the job done right. Many of the recommendations we make qualify for a rebate from Xcel Energy. It’s All About Comfort and Saving Money! These are complaints we hear all the time from our customers and these are homes that are perfect candidates for an AirTight Energy audit! With Denver weather changing from day to day, where one minute its 80 degrees and the next we have snow on the ground, making your home comfortable can seem challenging. Using state-of-the-art equipment, AirTight Energy will uncover the root of these problems and recommend solutions to increase the overall comfort level of your home. An AirTight Energy audit will identify cost effective methods to decrease the energy usage of your home and ultimately save you money! Following the on site audit, every Denver home Energy audit performed by AirTight Energy includes a written report listing the recommendations to enhance your home’s efficiency. These improvements are ranked in order of importance and include the expected ROI (Return on Investment) for the improvement based on cost estimates to perform the work. ** AirTight Energy serves the entire Denver Metro area – Wheat Ridge, Westminster, Centennial, Lakewood, Colorado and Denver. Copyright © 2019. AirTight Inspections. All Rights Reserved.